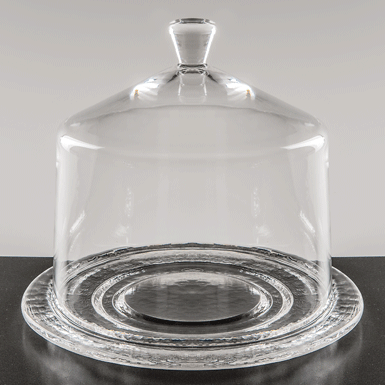 Ideal for cheese, sweets or as an extravagant decoration. The glass bell fits on to the cheese slicer "Tête de Moine" (art. 683). Glass dome: mouth-blown. Plate: handmade casting. Cheese plate and knife "Tête de Moine"